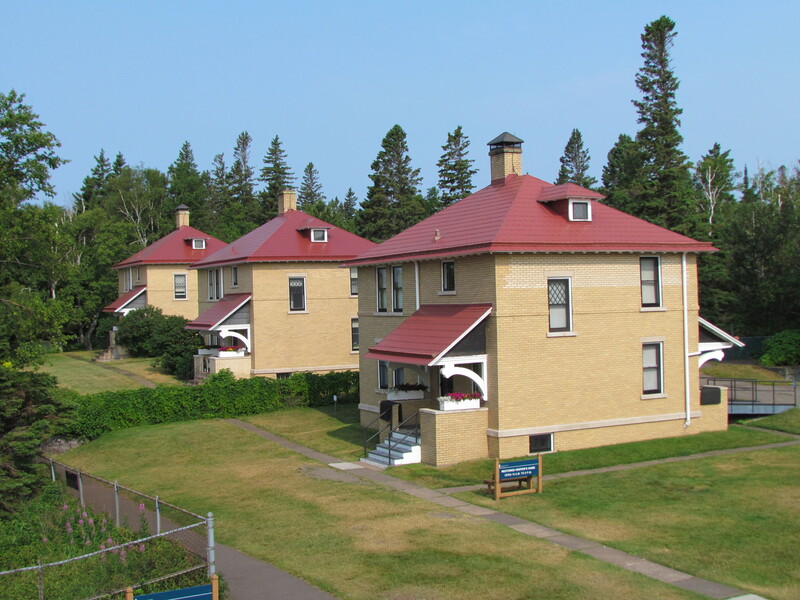 It seemed most appropriate that we spent this final day of the Minnesota North Shore Tour with Bike Tour Vacations following the tour’s namesake. It’s a stretch I’ve done many times, and is very familiar. 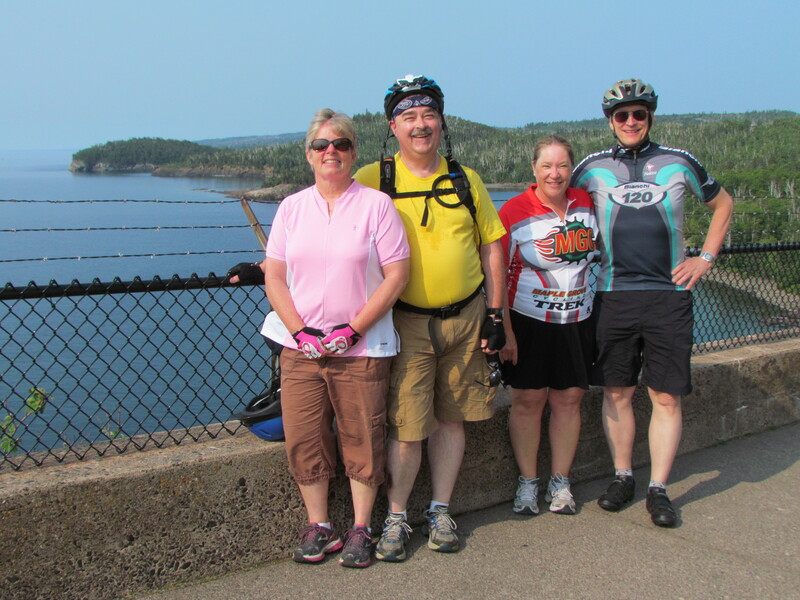 But cycling with a group who had never been on the North Shore before gave it a whole new twist. It was fun to re-experience the sights and lake views through the eyes of those seeing it for the first time. 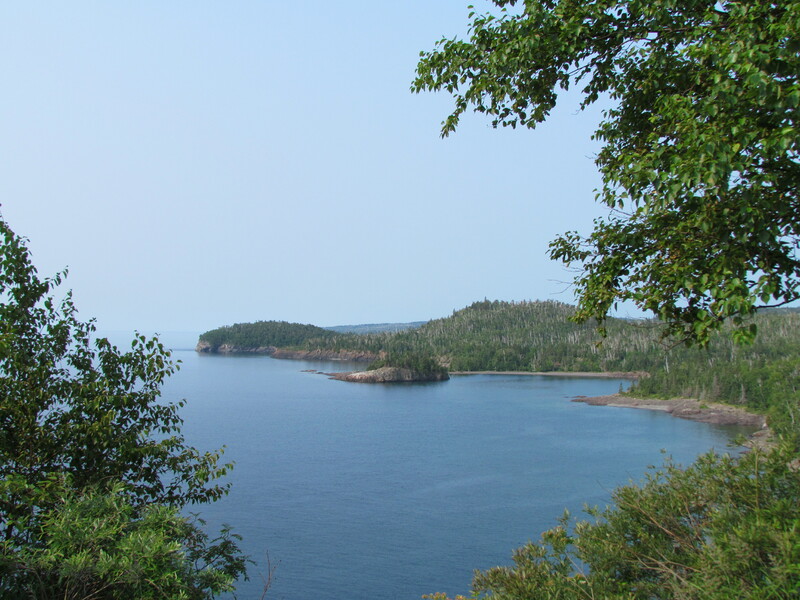 Starting in Beaver Bay was a treat as we had immediate access to the longest completed section of Gitchi-Gami State Trail, a wonderful bike trail on the North Shore. It afforded us hassle-free cycling away from the highway. 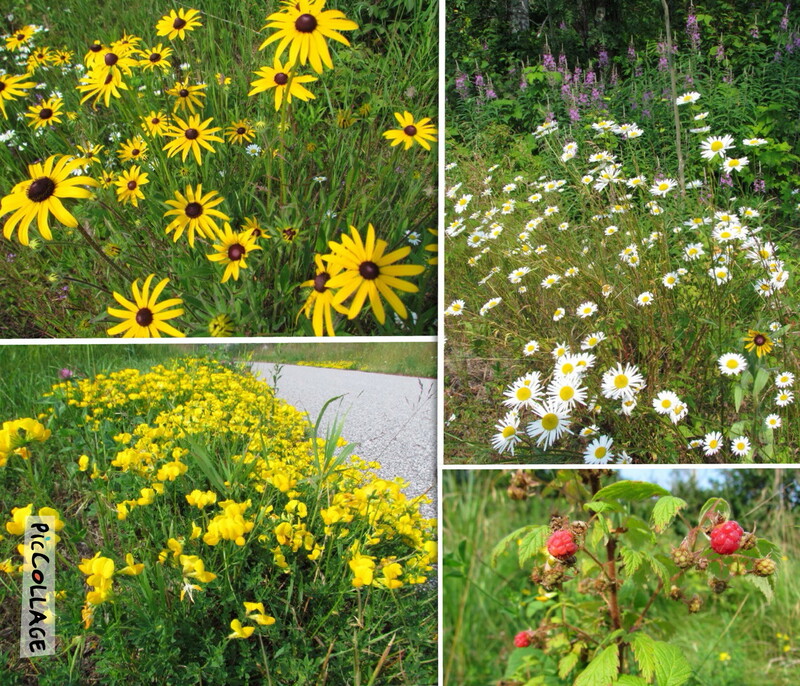 In addition, it was lined with wildflowers blossoming in brilliant colors. It was interesting to note the difference in season compared to inland from the lake. Berries were just beginning to ripen, and we still found fireweed and a few remaining lupine due to the cooler climate. It’s also worth nothing that our numbers swelled to 13 for this portion of the tour as we were joined by Jim’s sister, her husband and another couple. They were a welcome addition to our lively group. We had many stops today due to the numerous sights on that stretch of the North Shore. 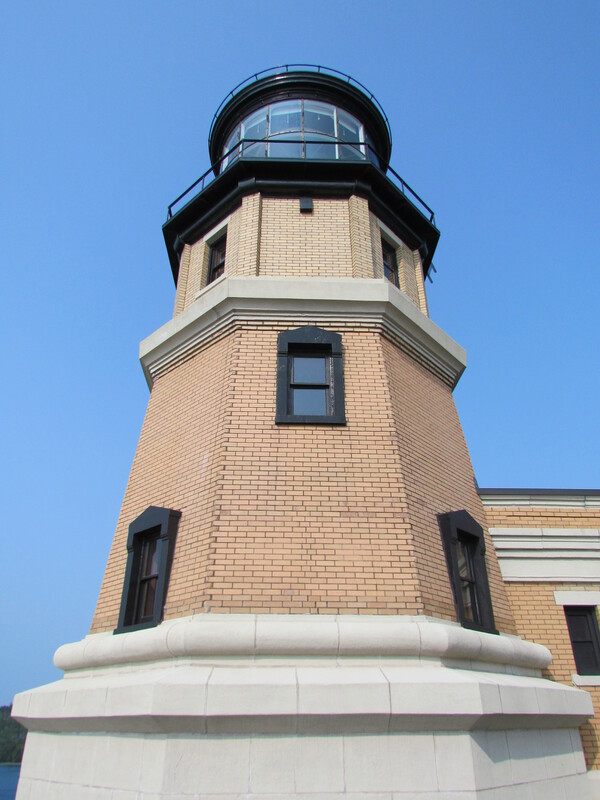 First was Split Rock Lighthouse – a must-see for any tourist. Personally, I enjoy being there before the park opens for tours to beat the crowds. Next up was Gooseberry Falls. I’ve taken so many photos of the iconic falls that I felt compelled to try a different view. 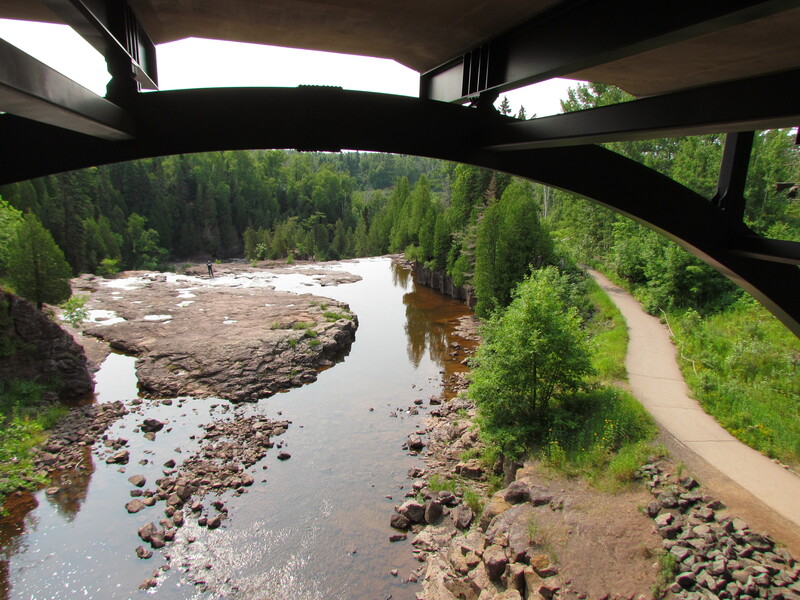 This is how it looked from the bike path below the highway bridge. 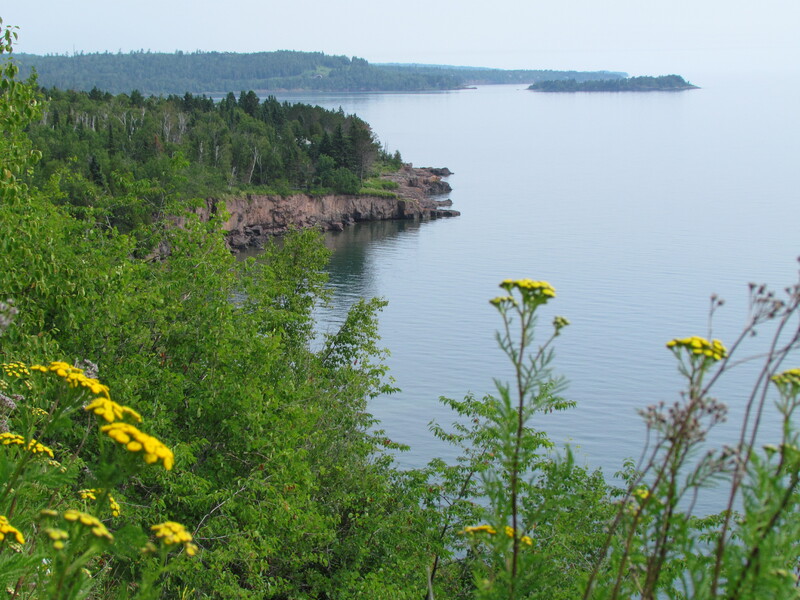 Everyone was required to stop at Silver Cliffs, to take in the view and imagine the original highway that clung to the cliffs on this stretch of the North Shore. 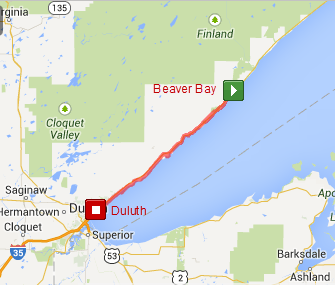 I never realized before reading the signs that it has the longest views on the Minnesota portion of the North Shore. All day long we leapfrogged each other, collected at sights and exclaimed over the beautiful weather. Our final stopping point was for refreshment at the Mocha Moose on Scenic 61. Then we pushed on to the end, finishing up on the Duluth Lakewalk. It was a glorious end to our 5-day tour. And I was ever so pleased that the other guests found the North Shore to be as special as I do. Sharing with them was a fitting finish to the trip. 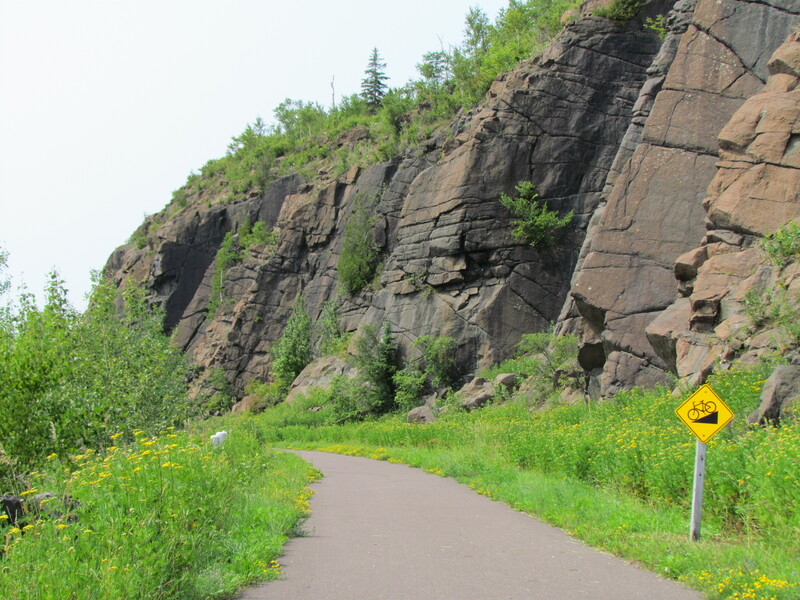 This entry was posted in Keeping Fit, Travel and tagged Cycling, Cycling Trip, Duluth Minnesota, Lake Superior, North Shore, Travel by Molly. Bookmark the permalink.